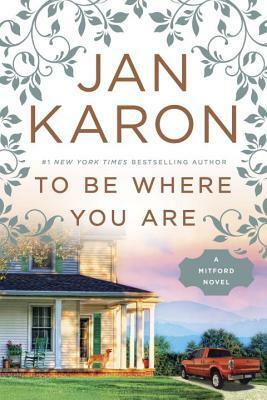 I read Jan Karon’s novel To Be Where You Are earlier this fall shortly after it was released, and it happened to be a particularly difficult time in my life. The latest in her Mitford series featuring our favorite Episcopalian priest Father Tim was an ointment for my heart soul, just as I knew it would be. The entire series – now a total of 14 books – takes place in the fictional town of Mitford, North Carolina, a small village in the Blue Ridge Mountains near Asheville. While Father Tim and his wife Cynthia are the stars of the show, the surrounding players – his son Dooley and various beloved family and friends – are really what make these stories so lovely. Karon manages to make the townspeople lovable and quirky, but not caricatures of small-town hillbillies. 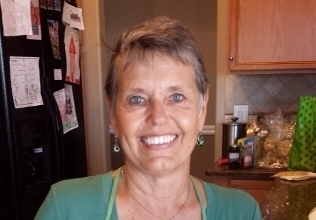 In her latest novel, Dooley and Lace, now married, are preparing for formal adoption of their foster son Jack, while trying to get Dooley’s vet practice going. Lace has her own distractions, as she has been commissioned to do a painting for a well-known Hollywood actress. All of this takes place as Father Tim struggles to help out several friends in unexpected ways. While a town like Mitford likely doesn’t exist anywhere, Karon’s books always have a realistic way about them. In To Be Where You Are, faithful readers say goodbye to a beloved friend, as we have had to do in the past, but hello to others. The story is punctuated by the characters’ strong faith in God and belief that they are all part of a bigger plan. I took the prayers uttered by the characters to my heart and prayed them along with them. Much highlighting. Very much highlighting. To Be Where You Are reminded this reader that at the end of the day, it isn’t the amount of money you earn or the fancy house in which you live, but instead it’s the number of people you can call friends and the blessings that are in you life. Karon is in her 80s now, and I don’t know how many more Mitford stories she has in her. I hope a few more. 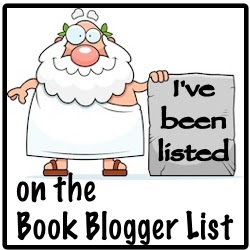 While To Be Where You Are left us with a perfect segue to the next book, it also ends with Father Tim and Cynthia driving off in an RV for an adventure. A perfect way to end a series. Fingers crossed it’s the former. I loved this book. I highlighted so many scriptures too. And the scene early on in the book when Fr. Tim is making smoothies for breakfast makes me laugh every time. Jan’s Mitford is a gift. Love this one! I didn’t want it to end. Thankfully for me, Mitford never ends since I read them over and over and over again.